Sooner or later, lights go out. That's just part of the realities of light bulbs and electric power sources. Sometimes, lights go out at the worst possible moment. That's the reality of Murphy's Law and lights. All lights that we know, eventually dim and go out over time — all lights except one: Jesus! He is the Light that keeps shining. 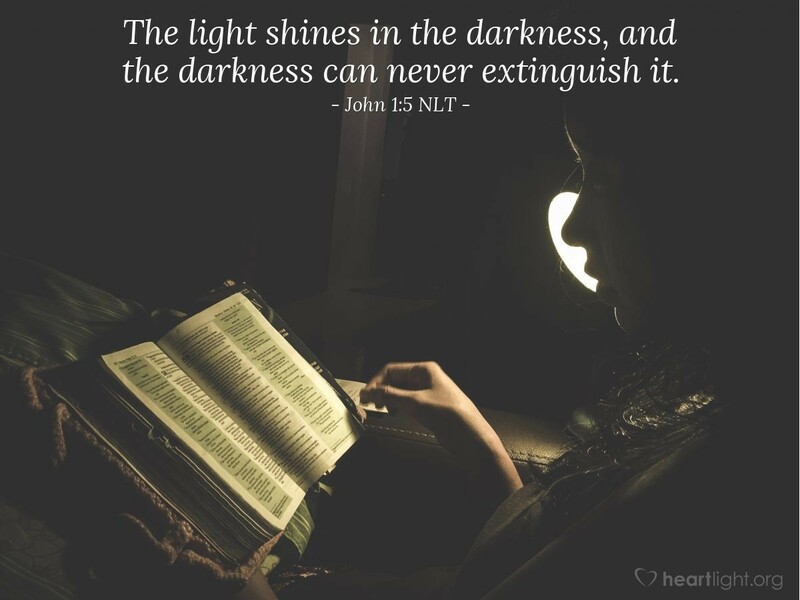 Evil, Satan, and the forces of darkness can't snuff out his light or hide his radiant glory. Jesus' light is as inextinguishable as it is unfathomable. This Light, full of grace and glory, keeps shining. Nothing can stop him from shining. No one can put out his life-giving hope. No darkness can defeat our Light. So, let's walk in this Light and find life in the radiance of his glow! Father, forgive me for the times I strayed away from your will. I know that on each of those occasions I pushed Jesus and the light of his grace and truth away from me. Forgive me for not living my life in the light of Jesus, seeking his truth, and wanting his will to guide my steps. In Jesus' name, I pray. Amen.